Katrina shares her experience with Mama Hope, El Árbol del Niño and the incredible woman she met. This article was written by Katrina Christenson and contributed in support of Mama Hope. When I first traveled to Guatemala 11 years ago, an unknown world opened for me, and it has inhabited a special space in my heart ever since. 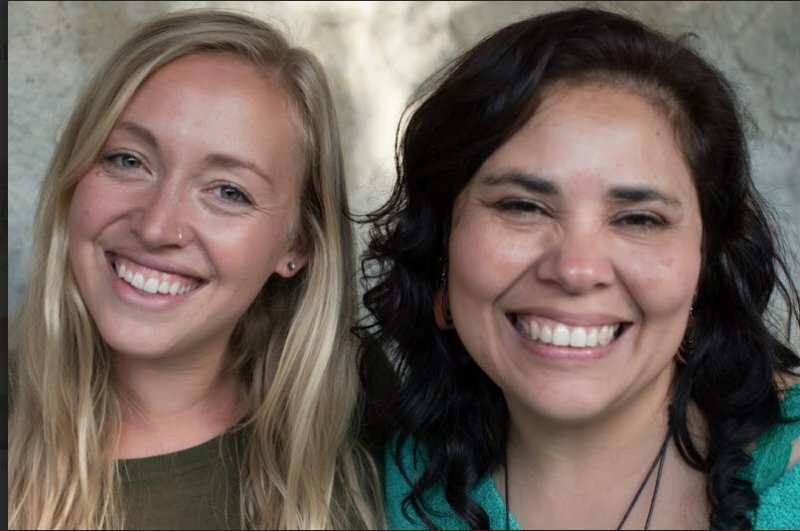 I’d always dreamed of giving back to the communities that helped shape who I am as a woman today, and I found that opportunity with Mama Hope and Glorious as their first Global Advocate to lead a project in Guatemala with their local partner, Ingrid Villaseñor. Ingrid welcomed me with open arms into her beautiful home and close-knit family, and I knew this would become a friendship and partnership that would last a lifetime. In this small vibrant town on the edge of one of the most beautiful lakes in the world, Ingrid taught me that making a positive social impact begins with putting love and passion into action. Below is Ingrid’s story, and the three “sparks” of inspiration she learned after her father was kidnapped when she was ten years old. I am Ingrid Villaseñor, I am 45 years old, I am the mother of three wonderful children, and I live in the Guatemalan highlands of Panajachel, Solola. 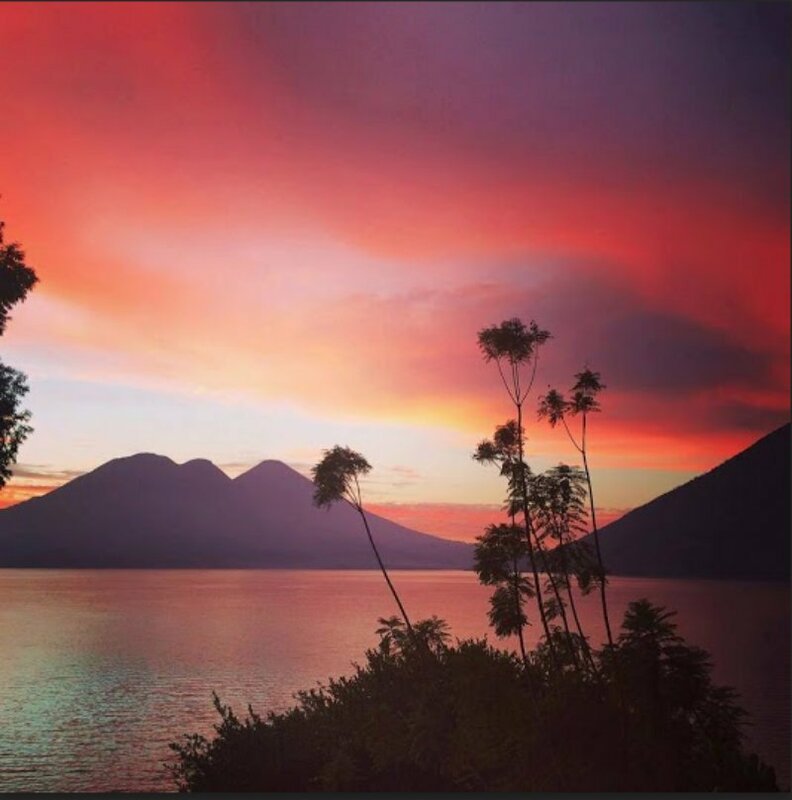 My mother is from the highlands town of Santiago Atitlan, a beautiful town on the shore of lake Atitlan. Each year we would spend time in a little house there. It was just outside those walls where I learned the traditions, livelihoods, and beliefs which run deep in my family’s Mayan heritage. Surrounded by beautiful landscapes of mountains and volcanoes, lake Atitlan is bursting with culture from the Tzutuhiles, the Kaqchiqueles, and Quiches. This is an area blessed with fertile land, and is one of the most visited destinations for both national and international tourists because if it’s beauty. But despite all its cultural richness and natural wealth, it is mirrored by poverty, inequality, and exclusion. I grew up during the time of armed conflict in my country; a time full of the unknown, of uneasiness, and a time of terror and horror. My father was kidnapped when I was only 10 years old. These were hard times because our lives were constantly threatened and terrorized, but we held onto the hope that we would find my father again. Because I was so young, I didn't understand what had happened to him. My mother never talked about him for fear that we would be kidnapped as well. I am the fruit of a valiant woman who was a fighter and a man who was a leader. My father gave up his life for his ideals and his country. Seeing the hunger and misery in many people teaches you to overcome all obstacles that may arise. It makes you want to live and fight for a better world. I learned to overcome defeat, to strive to uphold my ideals and my dreams, to help, smile, and to live everyday with compassion. The first spark lit when I learned I had lost my father. He may have been assassinated, but they couldn't kill his essence because it lives forever inside of me. The second spark came when UN Women chose me to work with women in rural communities as manager of entrepreneurial services in Sololá. Determination and constant fight is alive in each one of them: as mothers, wives, women, artists, and leaders. They are the pillars and foundations for their families and their communities. The third spark ignited when I was offered a job with an organization called School the World that supports education in Quiché. We constructed schools, implemented libraries, and helped develop an adult education program for the parents in each community. Parents, children, and teachers worked together to build a chain of confidence and empowerment through quality education. We went to the communities and saw the conditions of the schools, with walls made from tin or sticks, without libraries, some without desks. Children would take turns sitting at a table while the others stood. We saw how unmotivated and sometimes uneducated the teachers were and the parents accepted the situation, just hoping their children would learn something. Once, in a community in Quiché, in Panimaché, I asked a man what his dream was for his children, and he responded; "that they will be considered people." For me this was hard to hear and I asked him to explain. He continued: "Yes, it is for this reason that my children study, so that they can communicate with people outside our community, not like me who cannot read or write, and can hardly speak Spanish." This left me with no words, because the education system in my country is so terrible, this traditional way that only teaches students to copy and repeat. It is a selective system in which the child is not learning to their full potential. These sparks lit an internal fire, and pushed me to escape from my comfort zone and FLY!!! I decided to quit my job because I felt like I was swimming against the current. It's difficult to make effective changes within the public schools when the system does not permit it. My idea was to open an after school program within the communities, but I didn't have the means to do so and still support my family. This was a difficult time because I wanted to follow my dreams and my passion but on the other side I had a family who needed me, and then I became very ill. I went to go see my friend’s brother, a spiritual guide. He told me not to worry because help would come and together we would develop a project like I envisioned. According to Mayan cosmovision, when we are born we come into the world with an energy that is our "Nahual.” My Nahual is K'at, the spider, and it refers to the fine web that gathers all the memories of what we have learned and experienced, the web that connects us. Soon after that visit, I met two Greek brothers, Alex and Ilias Poulias, funding after-school education programs in the capital who wanted to expand their work to rural areas. With their help, we founded El Árbol del Niño, a branch of Fundación Poulias, and were soon connected with Mama Hope and Glorious. Our web was growing stronger and larger! 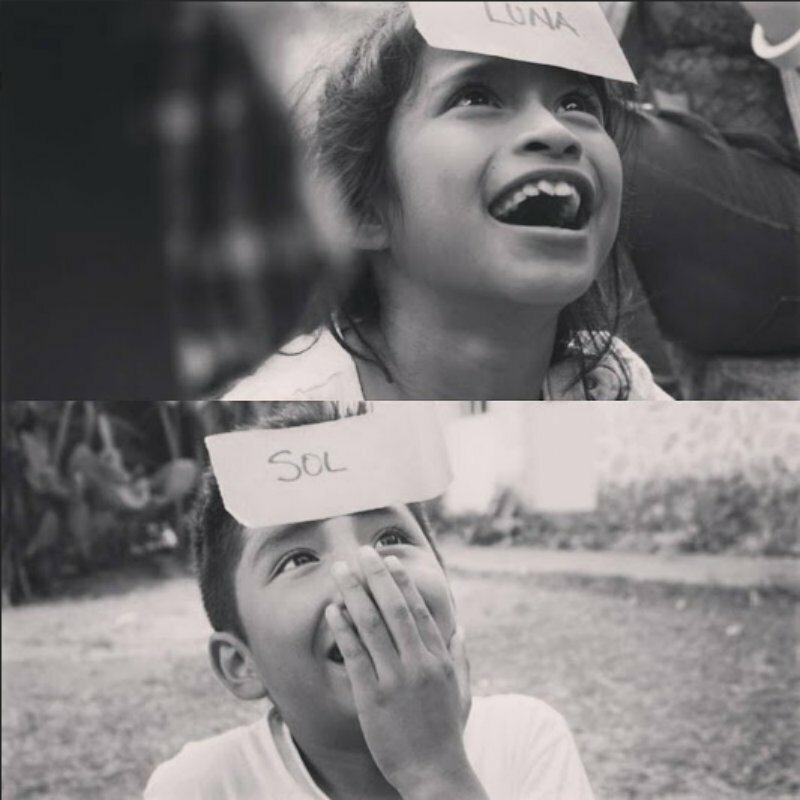 Our objective at El Arbol del Niño, is integral, holistic education. We want children to be conscious of themselves, of their surroundings, and of the environment so they can be actors of change and growth of their own lives and the development of their communities. We allow space for each child to discover their passions and gifts while encouraging them to express their thoughts and emotions, to become leaders in their communities. We began to realize that school is only a fraction of their environment, and their home life has a huge impact as well. Katrina and one of the teachers started visiting the homes and building projects that would support the families as well. In one visit when asking the mother how much their monthly income was, the answer devastated me. They were a family of eleven living off Q400.00 (about $53) monthly, can you imagine!!!? Just to feed a family on that amount of money is impossible. So we decided to organize an integral program for the parents as well, to give them the tools to help them take action alongside their children. 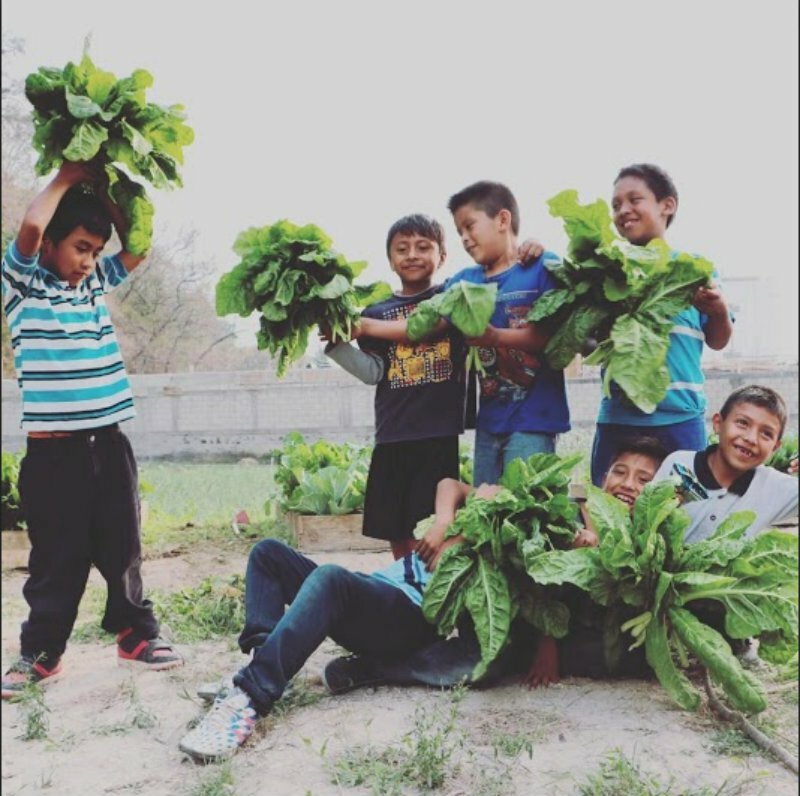 Now, they are learning to cultivate their own food in their own gardens, to eat healthy, to unite with other families, share and produce. By building relationships with other families and participating in group activities the parents will be able to invest more in their child's education and help to break the cycle of poverty. Thus was born the idea of the comprehensive Eco Farm, which is being cultivated by the community. This is the future. All together we can help sustain the center, provide work for the families, and a space where the children can learn. Produce will be utilized by the center and the participating families, and the surplus will be sold in the markets. The Eco Farm will also serve as a space where the children can be in contact with Mother Nature, experiment with her and learn to take care of and respect the environment. The Eco Farm will also be open to the general public, to serve as a learning space for everyone who enters. To me, being a global citizen is about taking action while utilizing our gifts. Global citizens act with love and determination to contribute to work that benefits the entire community. Being a global citizen means fighting, dreaming, uniting, and working towards transforming this world and inspiring others to put their love into action as well. We are all in this together. Katrina has lived, studied, and worked in 5 different countries, but calls San Francisco home. She has a strong passion for language, culture, education, and making human connections. 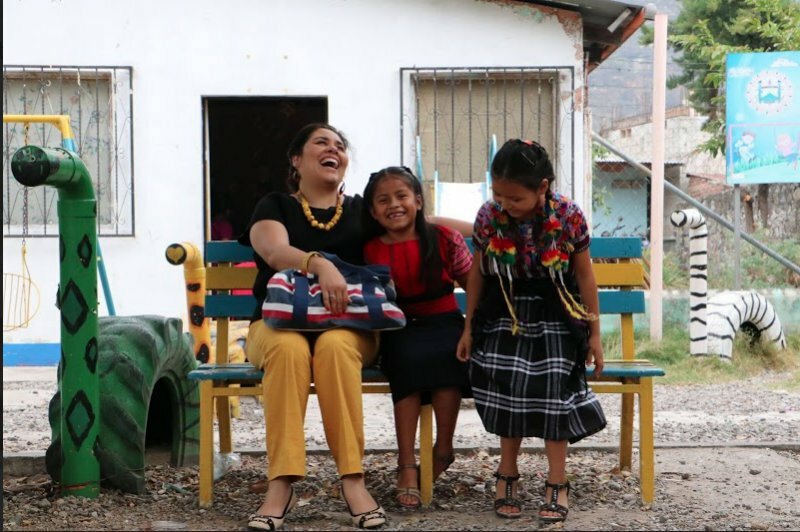 She has raised over $16K to fund the Eco Farm and family gardens that will nourish and support the children and families of El Árbol del Niño in Panajachel, Guatemala. If you would like to learn more about this project, we are less than $4K from reaching our goal!